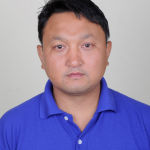 Guest OS Profile. A collection of operating system configuration for virtual machine that you deploy to the virtual machine. Virtual hard disks. This can be a blank or a specially prepared virtual hard disk; for example, a virtual hard disk that has a Sysprepped version of Windows server 2012 R2 on it. Please note that creating a template will destroy the source virtual machine. The virtual machine hard disks of the virtual machine will be generalized to create the new template and any user data on the virtual machine may be lost. To prevent this, you can clone it before you create a template. 1. In the navigation pane, expand All Hosts, and then select the Host, KTM-HOST3. 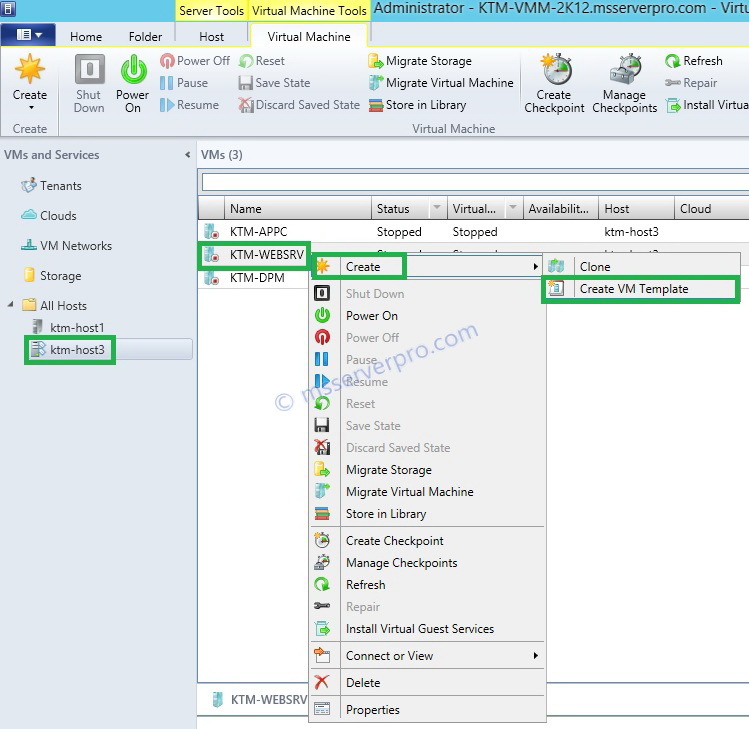 In the results pane, right click on virtual machine, KTM-WEBSRV, click Create, and then click Create VM Template. Note: VM must be shutdown. 2. On the Virtual Machine Manager Dialog box, click Yes to accept the warning message. 3. 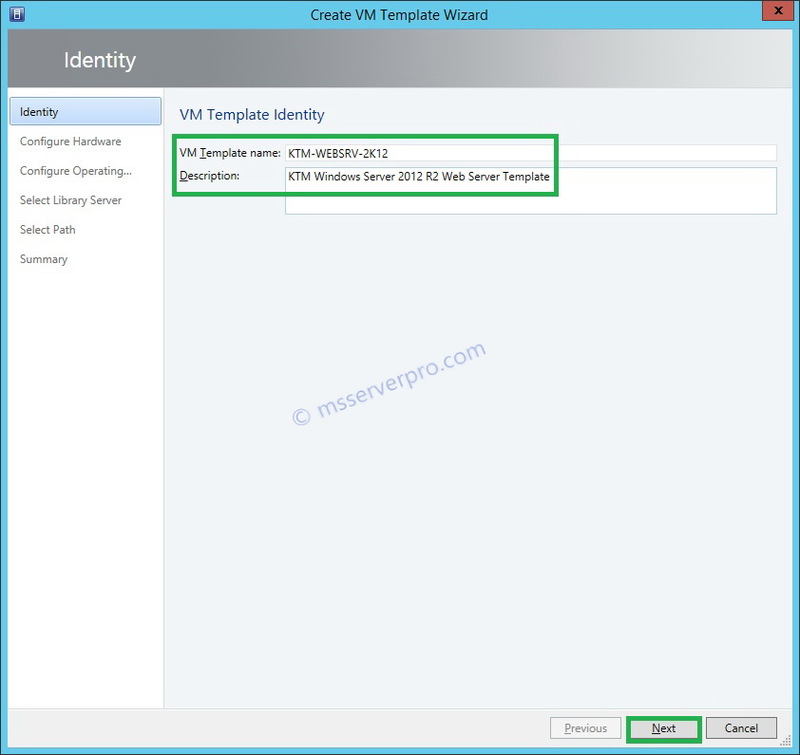 On the Create VM Template Identity page, provide a VM Template name and Description, and then click Next. 4. On the Configure Hardware page, configure the displayed hardware profile settings and then click Next. 5. 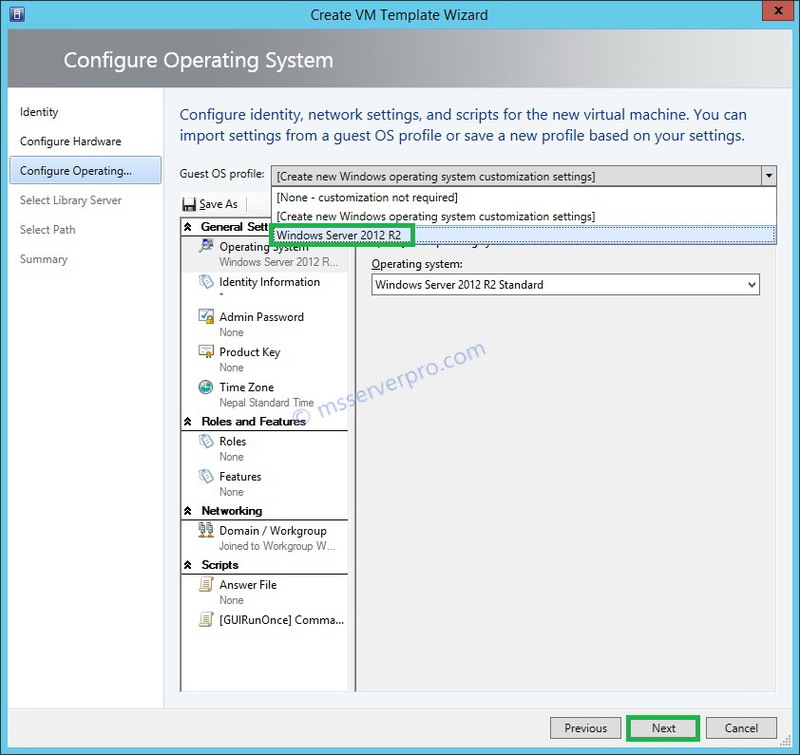 On the Configure Operating System page, select a preconfigured profile, Windows Server 2012 R2, and then click Next. 6. 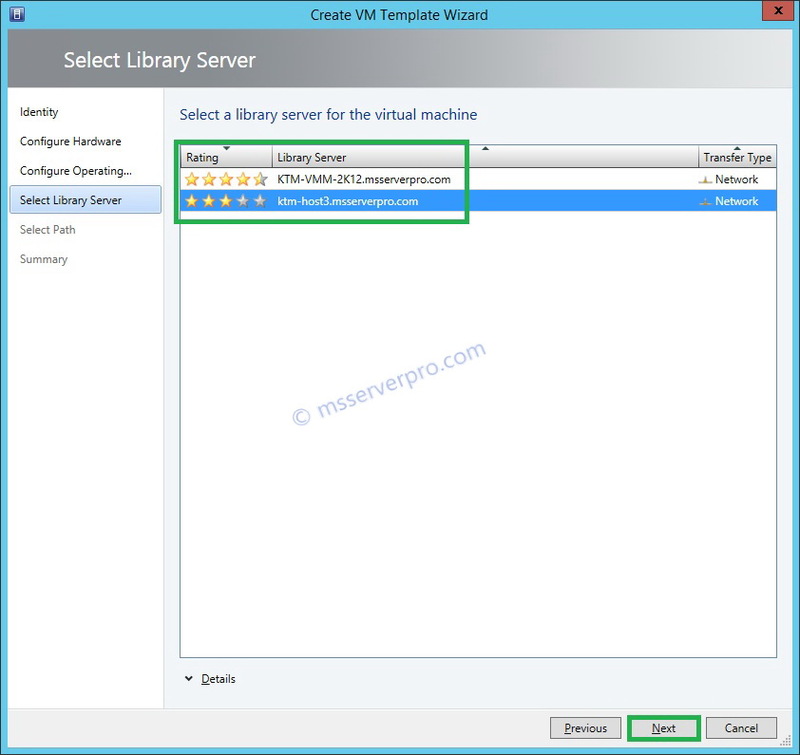 On the Select Library Server for the virtual machine page, select Library Server and then click Next. 7. 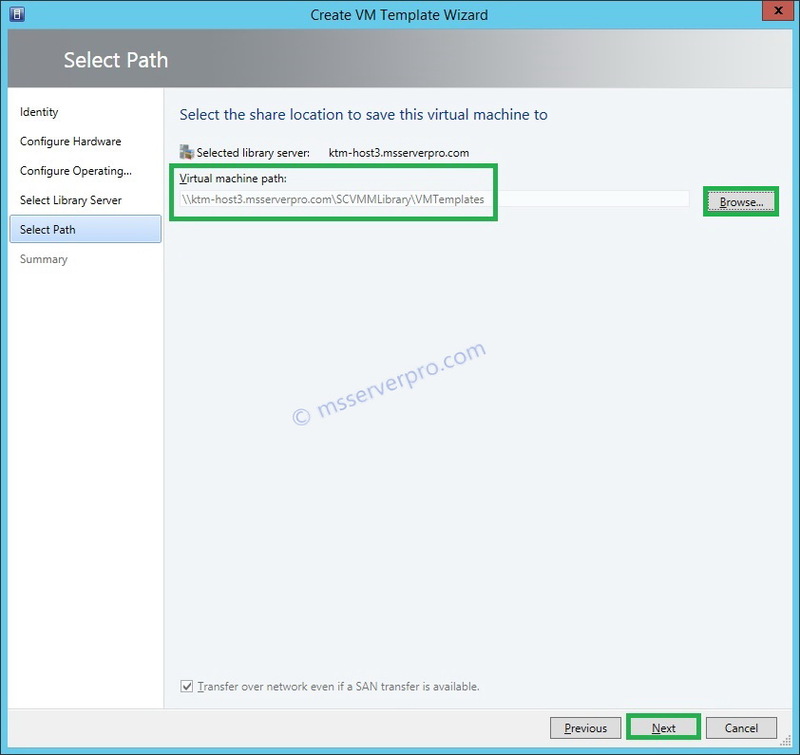 On the Select Path page, click Browse to specify the Virtual machine path, and then click Next. 8. On the Summary page, review the settings and Click Create. 9. On the Jobs windows opens. Observe the completed jobs, and then close the Jobs window. 10. 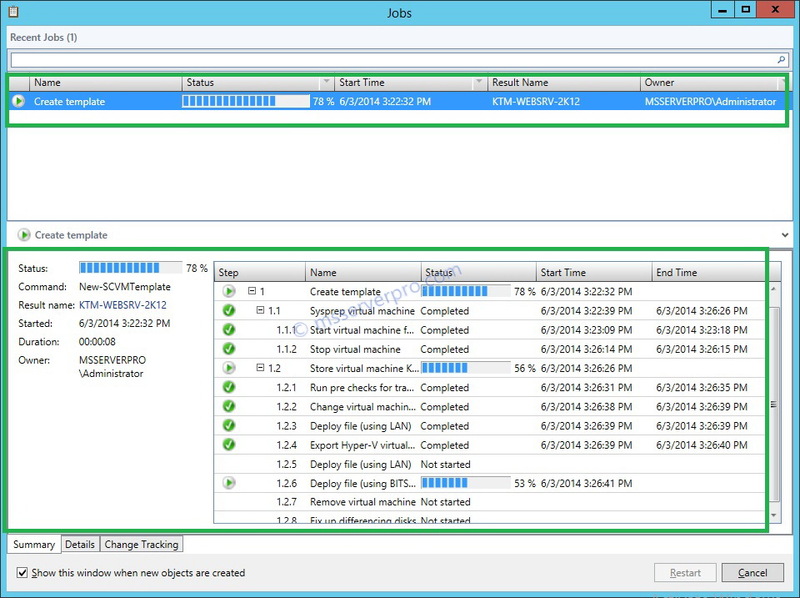 In the VMM console, click the Library workspace. 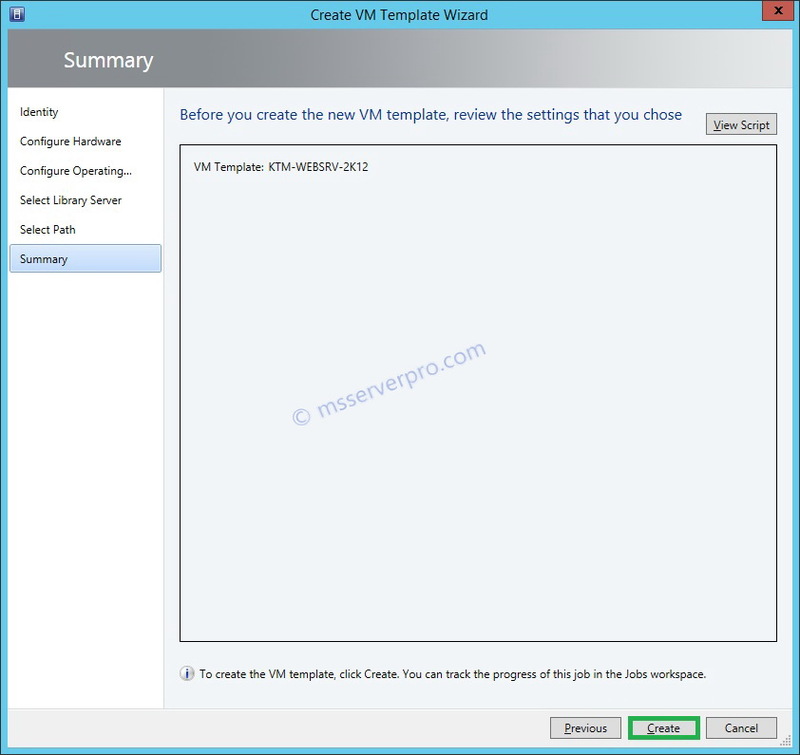 In the navigation pane, expand Templates, click VM Templates and verify that VM Templates is created. 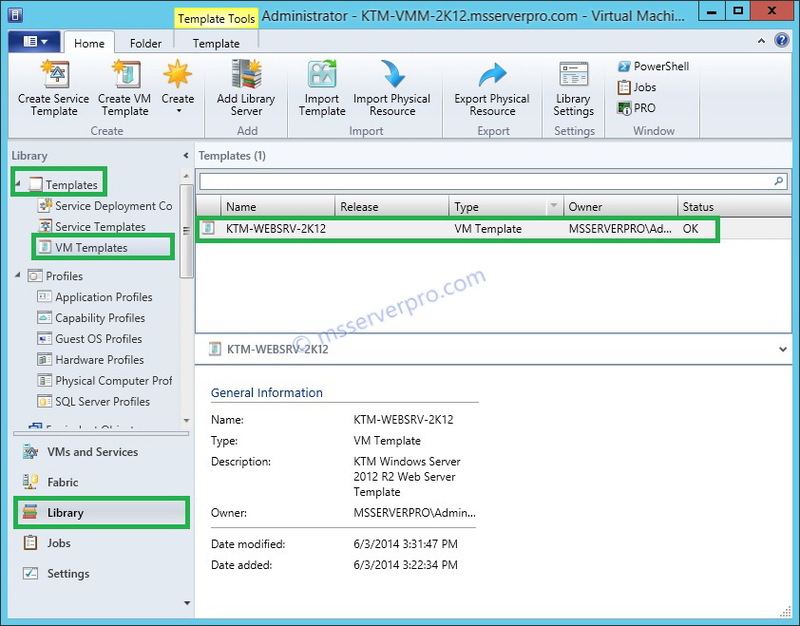 Creating a virtual machine template from an existing virtual machine is a common task for VMM administrator. 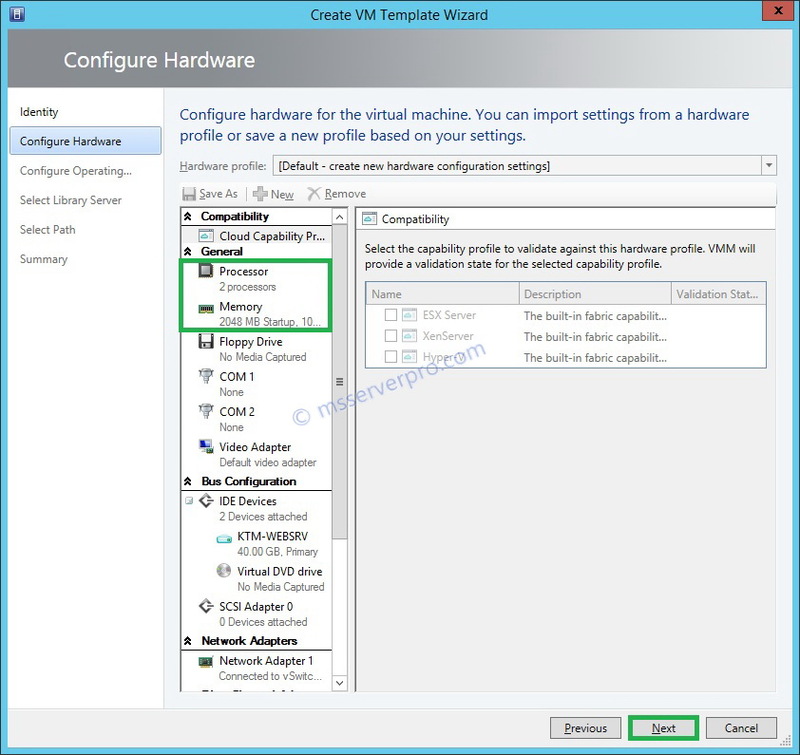 I hope this article will help during creating a virtual machine template from an existing virtual machine in SCVMM 2012 R2.